Mosquitoes collected in Cotuit and Falmouth earlier this week have tested positive for West Nile virus, according to local and state officials. The latest mosquitoes to test positive for the virus were collected on Wednesday, according to the Massachusetts Department of Public Health. Falmouth also had mosquitoes collected on Aug. 29 test positive, as did Bourne. Bourne and Sandwich were the first Cape towns to have mosquitoes test positive for West Nile virus this year, both on Aug. 8. Since then, mosquitoes in Sandwich tested positive again on Aug. 24 and Aug. 25, and Bourne had mosquitoes test positive for West Nile on Aug. 29. Across the state there have been 246 positive West Nile virus tests for mosquito samples and one positive test for a human, in a person between 51 and 60 years old on Aug. 15 in Bristol County, according to state officials. Bristol County also had one positive mosquito test for Eastern Equine Encephalitis in Westport last month. “West Nile virus is a mosquito-carried virus that can cause illness ranging from a mild fever to more serious disease like encephalitis or meningitis,” according to the state Department of Public Health. The Massachusetts Department of Public Health (MDPH) announced today that West Nile virus (WNV) has been detected in mosquitoes collected from Cotuit, Massachusetts. In 2016, 6,414 mosquito samples were tested for WNV and 189 samples were positive. • Be Aware of Peak Mosquito Hours – The hours from dusk to dawn are peak biting times for many mosquitoes. Consider rescheduling outdoor activities that occur during evening or early morning. If you are outdoors at any time and notice mosquitoes around you, take steps to avoid being bitten by moving indoors, covering up and/or wearing repellant. • Clothing Can Help reduce mosquito bites. Although it may be difficult to do when it’s hot, wearing long-sleeves, long pants and socks when outdoors will help keep mosquitoes away from your skin. • Apply Insect Repellent when you go outdoors. Use a repellent with DEET (N, N-diethyl-m-toluamide), permethrin, picaridin (KBR 3023), IR3535 or oil of lemon eucalyptus [p-methane 3, 8-diol (PMD)] according to the instructions on the product label. DEET products should not be used on infants under two months of age and should be used in concentrations of 30% or less on older children. Oil of lemon eucalyptus should not be used on children under three years of age. Permethrin products are intended for use on items such as clothing, shoes, bed nets and camping gear and should not be applied to skin. • Drain Standing Water – Many mosquitoes lay their eggs in standing water. Limit the number of places around your home for mosquitoes to breed by either draining or getting rid of items that hold water. Check rain gutters and drains. Empty any unused flowerpots and wading pools, and change water in birdbaths frequently. • Install or Repair Screens – Some mosquitoes like to come indoors. Keep them outside by having tightly-fitting screens on all of your windows and doors. The Town of Barnstable Public Health Division continues to work closely with the MDPH and other agencies. 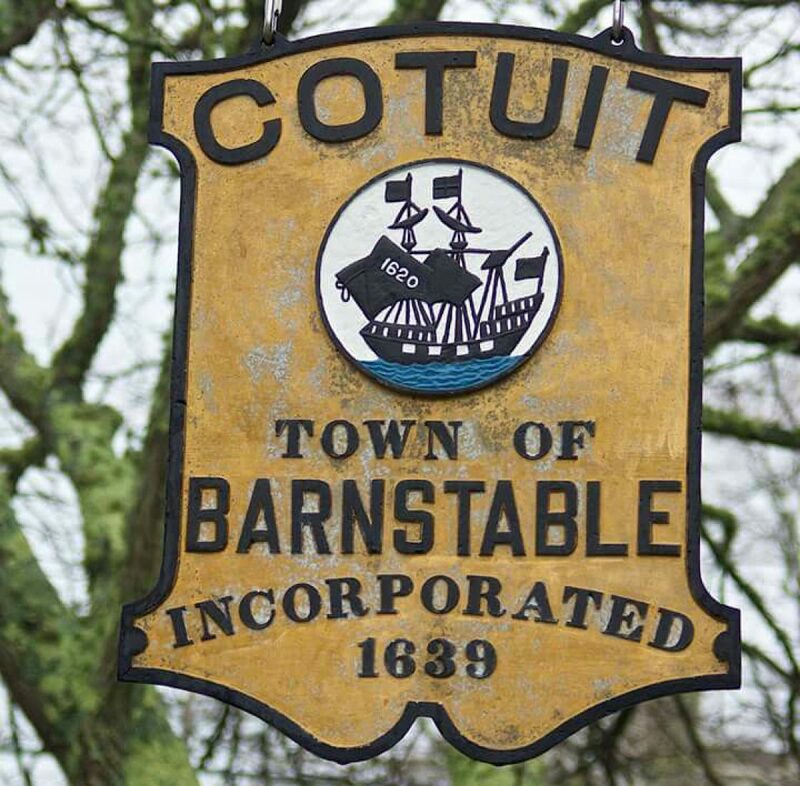 We contacted the Cape Cod Mosquito Control Program today which will conduct increased mosquito control treatment in Cotuit, including treating wetlands and catch basins with larvicides. Information about WNV and reports of current and historical WNV virus activity in Massachusetts can be found on the MDPH website at: http://www.mass.gov/dph/mosquito.